Since 1979, Children’s Emergency Resources, Inc., has been providing medical exams and assessments, prescription medications, dental services, optical exams and glasses, special requests and crisis intervention to low socio-economic status children and youth in Martin County. We are dedicated to helping children of Martin County only (Stuart, Jensen Beach, Port Salerno, Indiantown, Hobe Sound and Palm City). We help children from birth to about 21, but generally through high school. Sometimes we help before birth, prenatal assistance and medicine to get a healthy start. 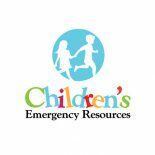 Through the networking initiative with every health assistant in every school in Martin County, Children’s Emergency Resources, Inc., keeps up to date on community needs. This agency, funded in part by United Way and Hobe Sound Community Chest, has been on the forefront of inter-agency collaborations to offset, defray and supplant expenses when needed and to assist other agencies in need of support. We have no office and only small professional fees are paid from time to time. All of our board members are volunteers. Almost every dollar goes to the children in need of medicine, glasses, dental work, etc.